Dimensions 12 ft x 35 ft x 11 ft tall. Jungle themed.....Really let their imaginations run WILD!! Our assault courses give the WOW wherever they go!! Perfect for event hire or if you want the ultimate party! Suitable for indoor or outdoor use but does need a spacious venue. 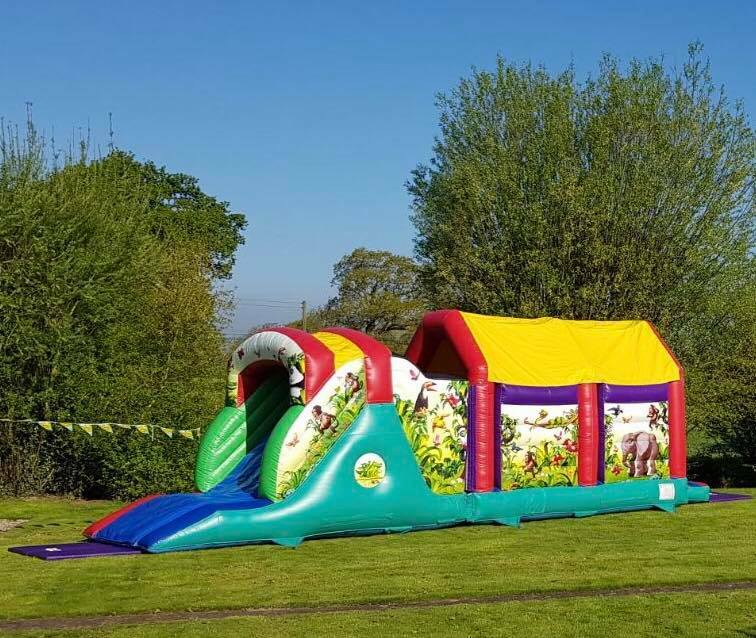 Full of BIFFS, BAFFS, BASHES, A TUNNEL, CLIMBING WALL AND FINISHED OFF WITH A SLIDE......Suitable for children up to 1.5m tall.